THE SIGNATURE PEGASUS DOWNWIND FOIL BOARD // Sub 8ft Designated downwind race machine, produced from Full carbon + PVC, a combination of modern technology, strength and performance. “The Pegasus”, or flying horse, named after a series of fast attack Hydro Foil patrol boats employed by the U.S. Navy in the 70’s – now ready to take on the oceans in a whole new way. 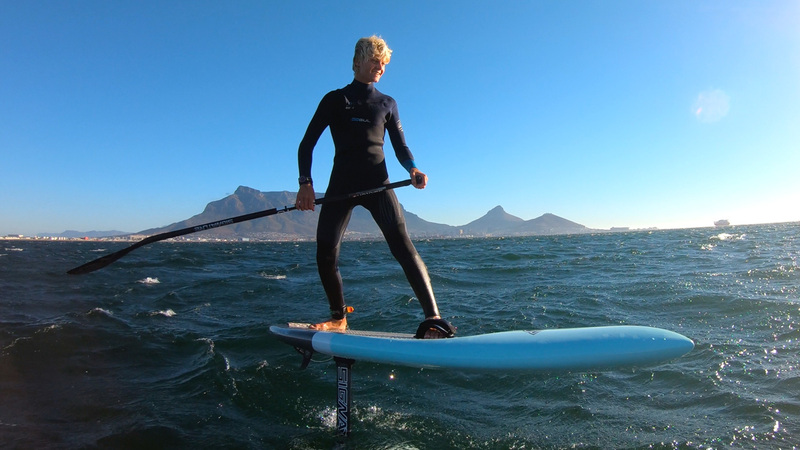 An Innovative design combo, created by Ivan van Vuuren, & shaped by Nicki Carstens who have been designing winning downwind SUP race machines for over 12 years. Slight sunken deck for lower center of gravity. 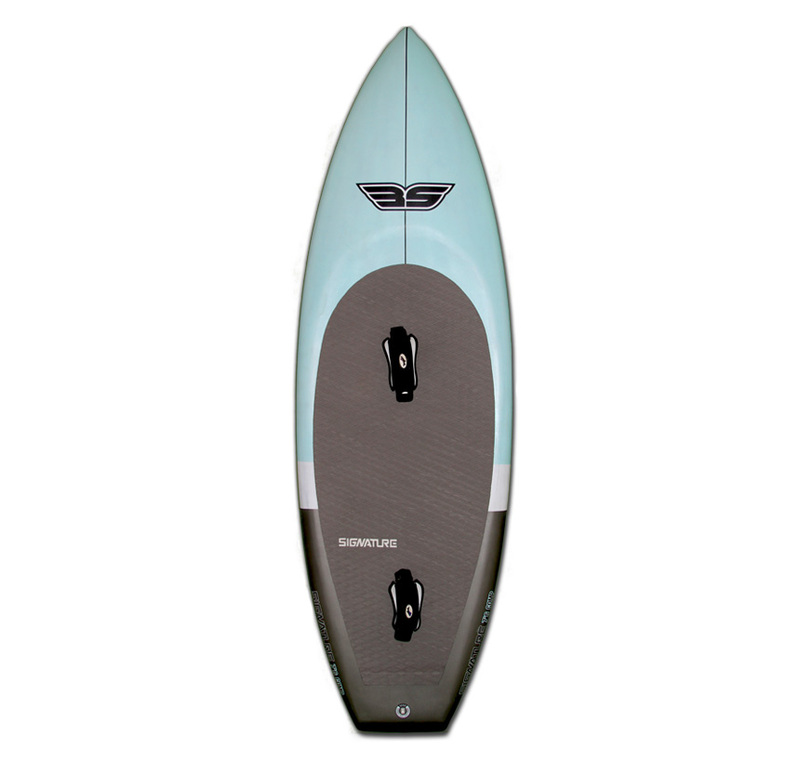 A combo race / wave foil board with added volume in the nose to generate quick lift and speed without carrying extra unnecessary length once you’re up and flying. The fuller nose also helps prevent full nose diving, and if the nose does go in, designed to “pop” the board back up out of the water. 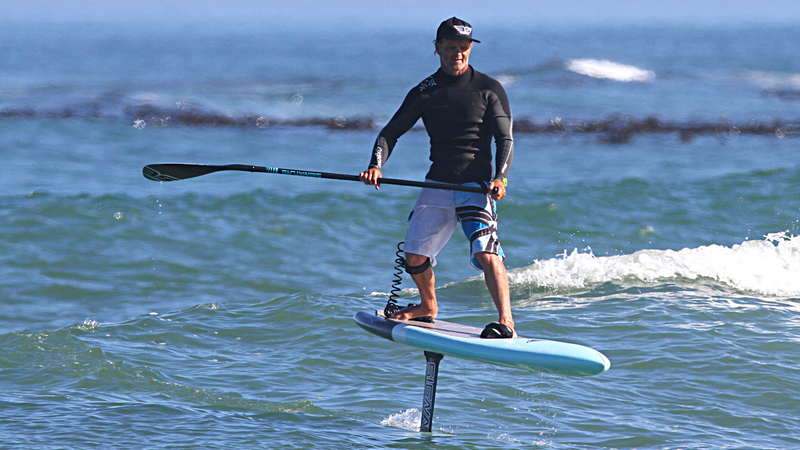 The fuller nose transitions into extended Beveled rails which helps prevent the board from tracking when starting out on downwind runs– these beveled bottom rails also help prevent the board catching when turning rail to rail on a foil. Specially designed anti-slip diamond EVA deck pad that allows you to feel your foot placing without having to look down. 3D Calculated Volume distribution that enables easy catching of swells without adding unnecessary additional board length.